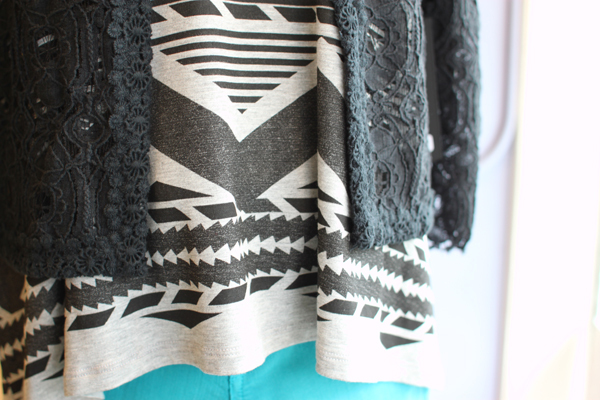 A lace cardigan can dressed down just easily as it can be dolled up for nighttime. This outfit is a perfect example of layering something a bit dressier over more casual pieces for a fun mix. We love the cool faded print on this Red 23 tee and the amazingly bright color of these Level 99 jeans.